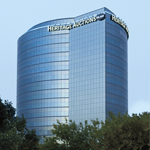 The Intelligent Collector features original programming from Heritage Auctions, the world's largest collectibles auction house. Here, top experts share advice, lessons and collecting strategies. Features also explore the hottest collecting categories that are attracting top-level collectors and investors. The Intelligent Collector is home to programming that collectors can't get anywhere else. Wine expert Frank Martell discusses collecting and enjoying fine and rare wines: know what you like, buying at auction, storage and what not to do. Whether just starting out or a connoisseur, his expert advice can help you. The Sam Snead Collection: Jack Snead talks about his father's incredible career and the personal items heading to auction.